It’s finally fall, which means it’s time to bring out those sweaters and scarves. But, if you live in a climate like I do in sunny Southern California you might want to consider wearing a scarf around your head, not your neck. Don’t worry, though, because these styles go great with cold weather too! I’ve put together four boho-inspired looks that will pair perfectly with your favorite headscarf and oversized sweater. 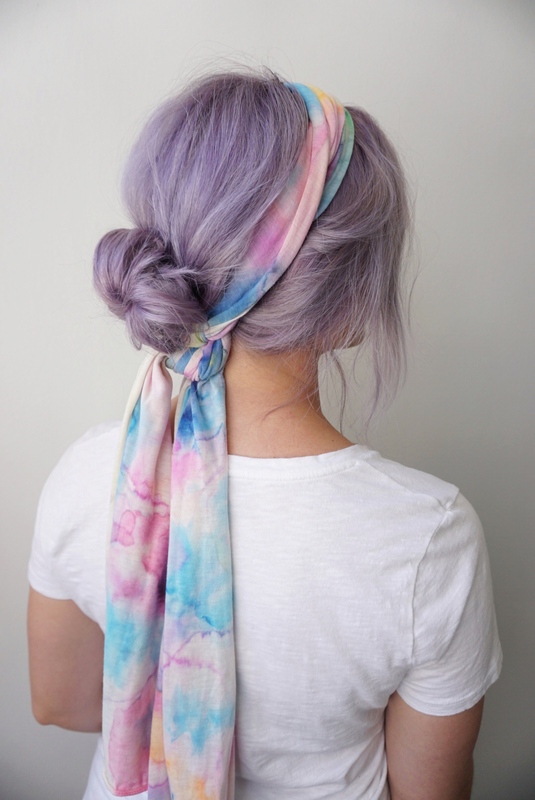 A few years ago my sweet cousin hand dyed this cotton scarf and I love wearing it in my hair. What a fun project to do with your friends, and you can use your favorite colors like my cousin did for me! 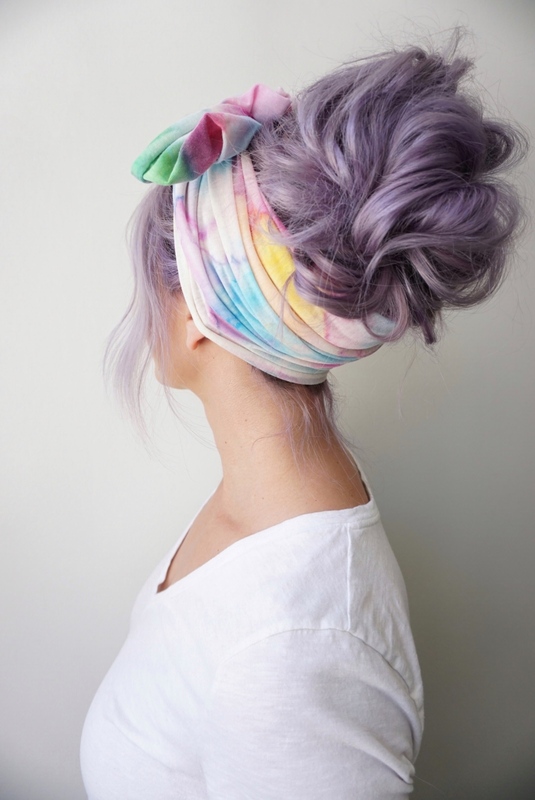 The best part about using a headscarf to style your hair is you don’t have to be too polished with your finished look. It’s also great when you need to wash your hair but don’t have time. 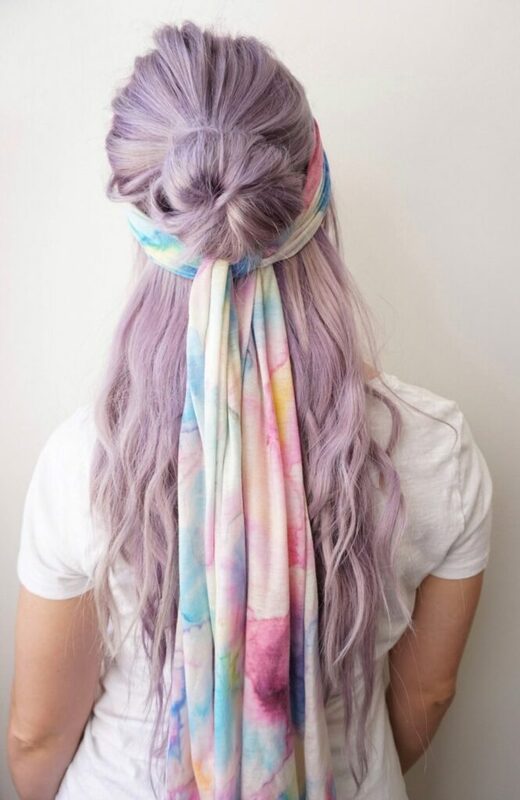 The scarf covers up the top! 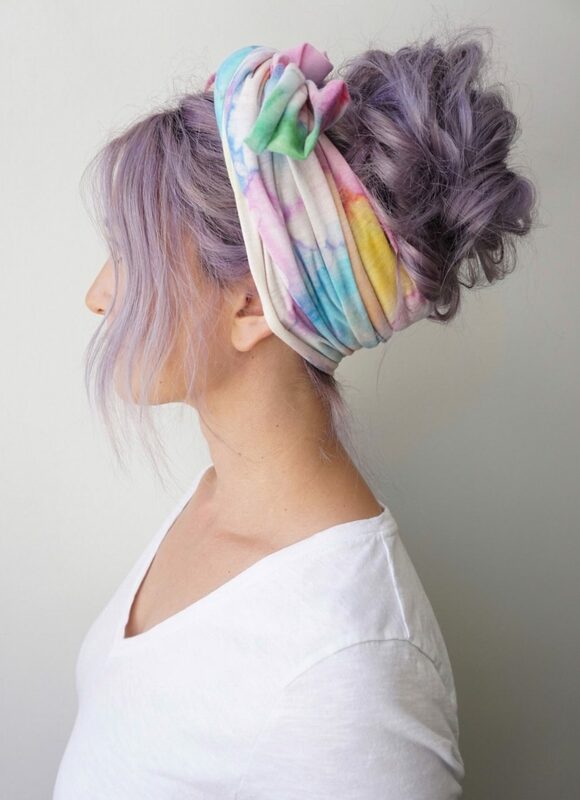 Headscarves work for all hair lengths and textures. As you can see here, you can be as simple or as creative as you want! 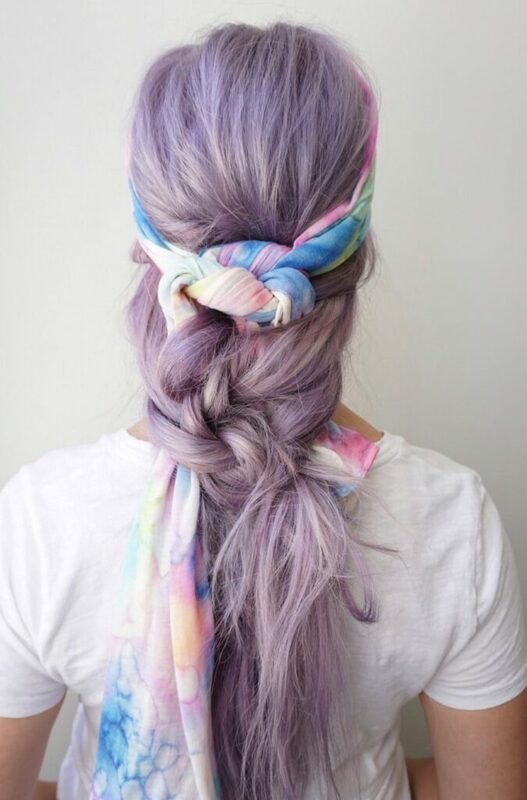 From a textured chain braid to an easy low bun, the possibilities are endless. Look how easy it is to switch up your hairstyle too. The only difference between the photo above and the photo below is the amount of hair left out to create a half-up style. Shhh… don’t tell anyone I added in my clip-in extensions for this one. 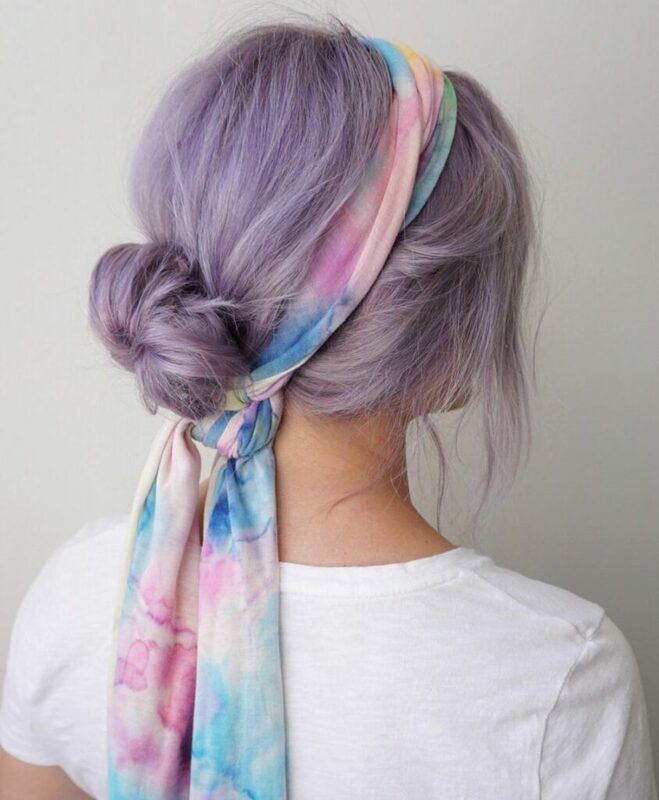 This next style is one of my favorites. Have you ever heard of Rosie the Riveter? Just in case you haven’t, she is an American icon who represented women in the workforce during WWII. She rocks a head scarf and a vintage updo while wearing a man’s button up shirt, and I just love it. It’s the perfect go-to Halloween costume too! 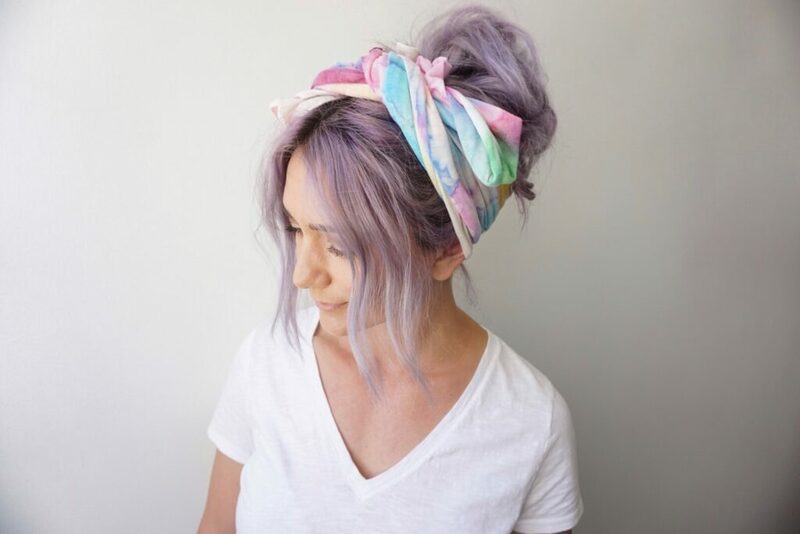 Just gather your bangs and roll them up into Victory Rolls to take this look from boho to Rosie. 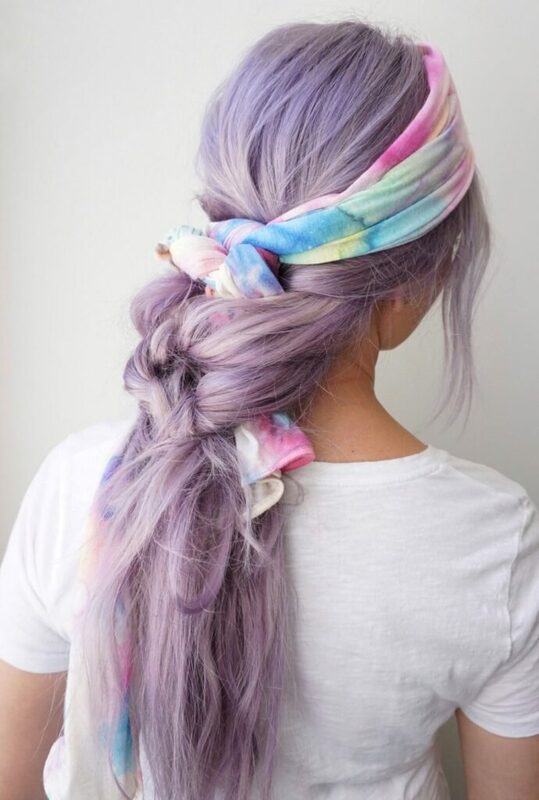 Anytime a style is a mix of messy and pretty, it just gets me all kinds of rocker-chic! What do you guys think? Which style is your favorite?